Tom McGlynn reviews Al Held in Paris: 1952-53 at Nathalie Karg Gallery, New York, on view through June 15, 2018. McGlynn begins: "Al Held moved to Paris in the early 1950s where he was part of a loose-knit expatriate community of American painters that included Joan Mitchell and Sam Francis. Mitchell, Francis and Held all had in common a determination to pit their personal stylistic development against the then coalescing dominance of Abstract Expressionism and the New York School. 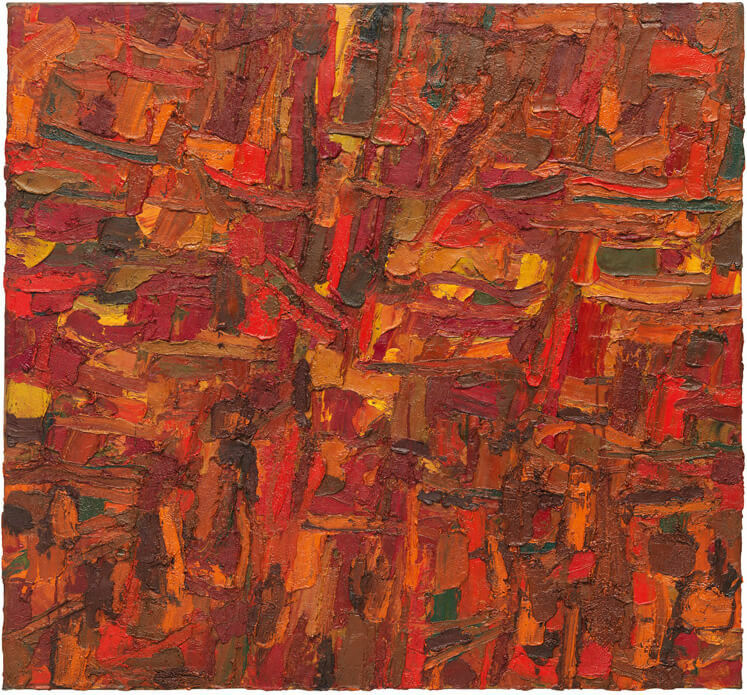 Held had his first showing of paintings, in Paris, in 1952, at Gallery Huit. These were relatively smaller and painterly works compared with the massive scale and graphic linearity his later and mature paintings would take. What they do impart are inklings of the stylistic tendencies of an artist very much determined to go his own way."